Pests and parasites can do serious damage to your beloved pet before you're even aware of their presence. Fleas are almost invisible when buried beneath an animal's hair, while heartworms live out their lives hidden within your pet's body. These creatures can sneak upon your pet and ruin his quality of life unless you take the necessary steps to prevent it. Fortunately, Park Hills Animal Hospital offers flea and heartworm prevention to safeguard your pet against these uninvited guests. Fleas may be tiny, but their potential impact on your pet is anything but small. These pests feed off an animal's blood through a bite in the skin. This parasitic activity not only causes skin irritation that may compel scratching (and this bacterial infection) -- it also allows the flea to transmit tapeworms, cat scratch disease, haemobartonellosis and even bubonic plague to your pet. A massive flea infestation may even cause small or infirm pets to die of anemia. Heartworms don't start out in your pet as worms; instead, a mosquito bite injects larvae into your pet's bloodstream. When the larvae find their way to the heart and lungs, they take up residence there, growing into long thin worms that can live for years. A heartworm infestation typically produces a slow decline into cardiopulmonary failure in dogs, while toxic reactions in cats can actually cause sudden death. You don't want fleas or heartworms anywhere near your pet. Treatment for heartworm infestation is lengthy and difficult at best, sometimes requiring surgery to remove the worms. Fleas can be removed easily enough, but the diseases they carry may have already been transferred to your pet. That's why flea and heartworm prevention at our animal hospital in Park Hills is a smart form of pet preventative care. Your Park Hills veterinarian (Dr. Collett or Dr. Buckley) can prescribe medications that combine heartworm and flea prevention in one handy dosage, typically given on a monthly basis to maintain consistent protection. Different heartworm and flea prevention products are effective in different ways. Some work on both cats and dogs, while others protect only dogs. Some products also provide protection against tapeworms, hookworms, ticks and/or other parasites. Some are ingested in tablet form, while others are applied topically (which can be very useful if your pet tends to resist taking oral medications.) 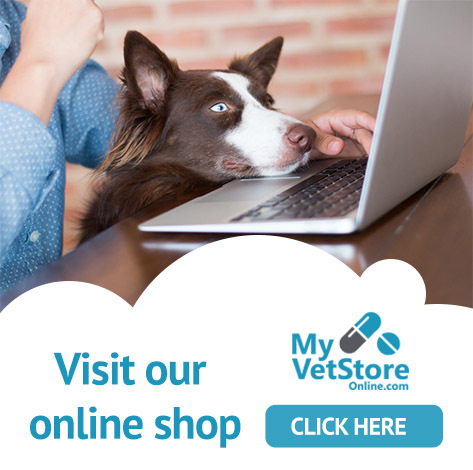 Your veterinarian in Park Hills can help you select the product that offers the best combination of protection and convenience for your pet. If your pet currently lacks a flea and heartworm prevention program, don't wait another day to keep these dangerous parasites where they belong -- away from your best friend. Call our animal hospital in Park Hills at 859-581-5200 to schedule an appointment so we can protect them!